Our very own Adam Byatt, owner of Trinity restaurant Old Town, was this years proud winner of the 2017 Imbibe Personality of the Year award. This coveted award brings together the drinks industry’s great and good to recognise outstanding achievement in various sectors of the on-trade, as well as awards for innovators, educators and the up-and-coming. Nominees for the awards were all selected by Imbibe’s readers, with winners then chosen by a panel of industry judges including Gerard Basset MW OBE, Jared Brown, Anistatia Miller, Laure Patry, Matthieu Longuere MS, Mark Dorber, Loyd Loudy, Charlie Young and Sunaina Sethi, as well as the Imbibe editorial team. ” The talent in our industry needs to be nurtured and deserves to be celebrated, The passion and determination of our nominees is what drives their success and Imbibe is proud to recognise the achievements of those across the country who help improve the standards of the industry as a whole”. 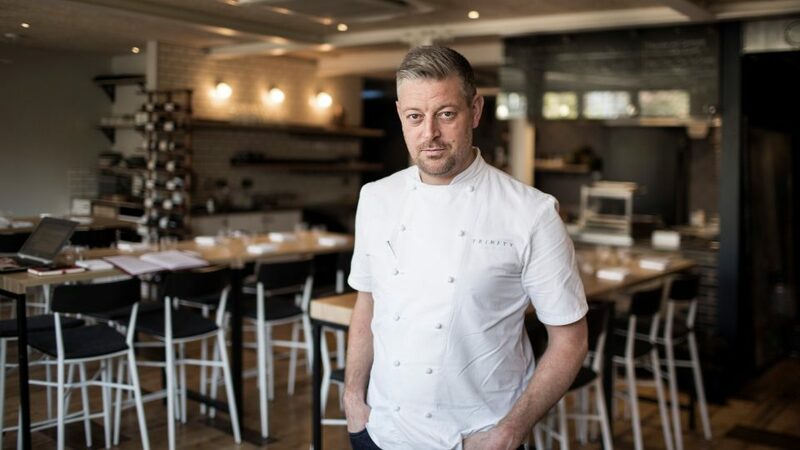 This is yet another triumph for owner Adam Byatt whose restaurant Trinity has been at the heart of Clapham Old Town since 2006 offering modern British-European food, with the opening of a further restaurant in 2015 above Trinity (upstairs) which would cater for the growing trend towards casual dining.